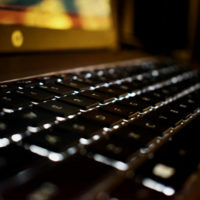 HP has recently announced a recall that affects tens of thousands of HP laptop owners. Learn more about the reasons for the recall and the steps that affected owners are being instructed to take below. Contact an experienced Idaho product liability lawyer if you’ve been injured by a dangerous or defective product in the Boise or Twin Falls region. HP issued a recall notice in January of 2018 affecting laptops it sold between December of 2015 and December of 2017. According to complaints received by the Consumer Products Safety Commission (CPSC), batteries on certain HP laptop models are prone to overheating, charring and burning. Eight different owners of defective laptops have reported these issues to the CPSC, with one of these owners suffering first-degree burns to their hand as inflicted by their laptop, and three other owners incurring property damage caused by their laptops, amounting to losses of $4500. HP did not provide an official number on how many laptop units are included in the recall, but the CPSC believes that somewhere in the neighborhood of 50,000 laptops may be affected by a defective battery. According to HP, laptop models which may be affected by the recall include models from the HP ENVY, HP Probook, HP ZBook, and HP Pavilion lines. The company has created a website to assist customers who believe they may own a recalled computer. On the website, customers can find out if their computer has been recalled. If the computer is included on the list of recalled models, customers should either immediately stop using the computer or download a software patch from the website which will disable the battery while the computer is on. Customers will need to remain connected to a wall power source to use their computers until they can arrange to have an HP technician come out to remove the defective battery and install a replacement. Idaho residents who have been injured while making ordinary use of their laptop may have a claim against the designer, component supplier, manufacturer, and the retailer of their computer, and they should quickly contact an experienced Idaho product liability lawyer for additional help. If you or a loved one has been injured by a defective or dangerous product in Idaho, find out if you’re entitled to money damages through a personal injury lawsuit by contacting the knowledgeable, dedicated, and effective Twin Falls product liability lawyers at Pedersen & Whitehead for a consultation at 208-734-2552, or in Boise at 208-336-2552.